Located in Modesto, California, Barefoot Wines was originally created in the early 1960s by Davis Bynum in Alameda County, just east of San Francisco. He produced and sold Barefoot Bynum wines for almost 10 years, at which time he decided to focus on premium Pinot Noir from the Russian River Valley. He sold the brand to Michael Houlihan and Bonnie Harvey, who re-launched the brand in 1986. Michael and Bonnie sold Barefoot in 2005 to E & J Gallo Winery at a time when Barefoot was selling approximately 600,000 cases nationally. Today, Barefoot Cellars is the most awarded California wine brand under $15 and the most awarded sparkling wine brand under $20. Grapes are from vineyards all over California. A primary source is Cowell Ranch in the Central Valley which is composed of 3,500 acres. In 2010, Barefoot Wine & Bubbly sold approximately 10 million cases nationally. The winemaker is Jennifer Lynne Wall. She originally intended to become a doctor and graduated with a degree in biology from University of California at Santa Cruz. She moved home to Sonoma County and took a temporary job at a custom wine facility and fell in love with winemaking and the wine industry. She was hired as winemaker for Barefoot Cellars Winery in 1995 and shortly thereafter she created the current Barefoot wine style: varietally correct, fruit-forward and food-friendly wines. There are now twelve still varietals and six sparkling wines. 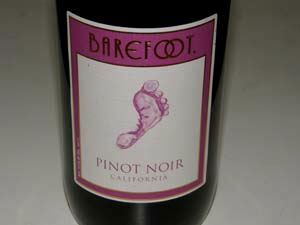 The most popular varietal in 2012 was Barefoot Moscato with Barefoot Pinot Grigio a close second.